To give the child a table from which they can wash a variety of objects. SKU: PL0007. 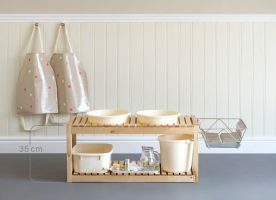 Categories: Bambini, Furniture, Practical Life, Practical Life, Pre-Primary. 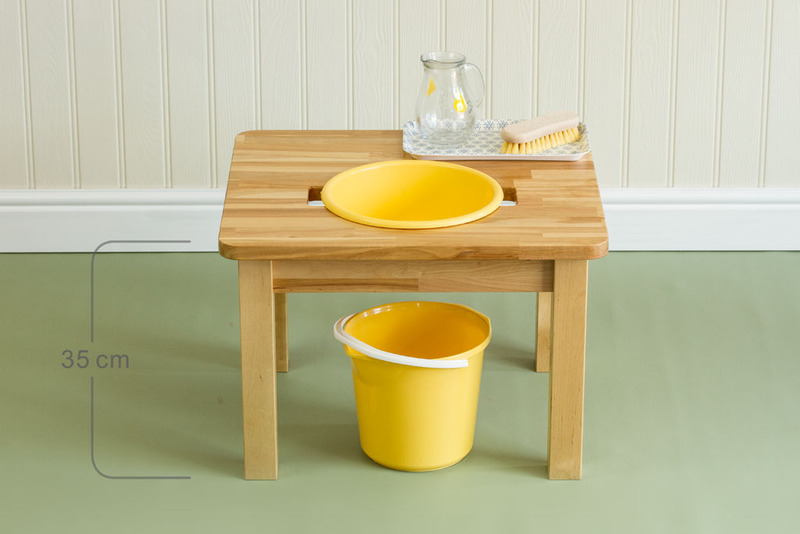 A solid wooden table finished with a water resistant hard wearing varnish, into which is set a coloured bowl with matching bucket. 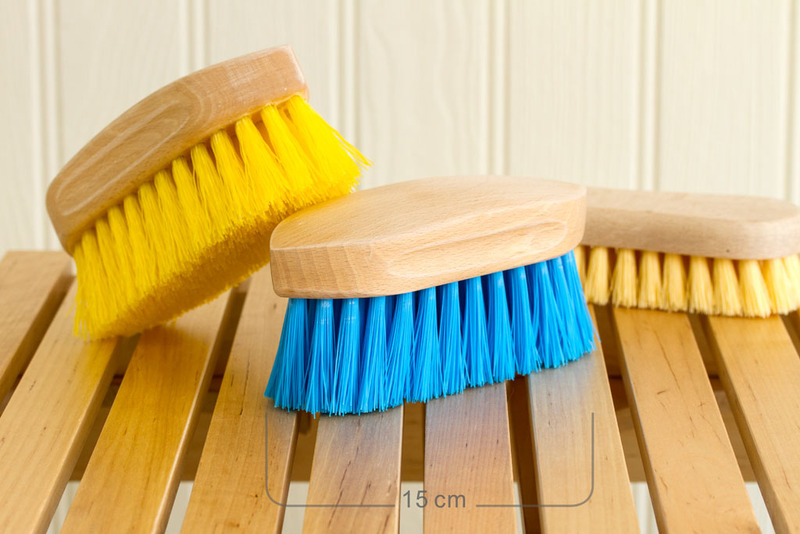 A jug and small scrubbing brush are contained on a tray on the table. 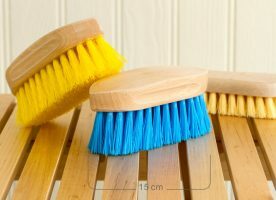 The child can use the table as a base from which they can clean any larger object from the environment, for example, a chair that needs scrubbing or dirty wellingtons. The table measures 45 cm x 45 cm and is 35 cm high for the Bambini environment. Available in a higher size for the pre-primary environment.